The California legislature has revised the law allowing individuals to petition the court to seal their criminal arrest records under Penal Code 851.91 pc. This statute is applicable to both felony and misdemeanor arrests. Because of the unfortunate social stigma and embarrassment that attaches to an arrest, the legislature enacted this remedy for those that would suffer hardship as a result of an incident that did not lead to a conviction. Previous and still existing law permitted an individual to petition to seal their arrest records if the petitioner satisfied the heavy burden of proving factual innocence or successfully completed drug diversion under Penal Code 1000. Although that law is still in existence, there is another statutory method for sealing records from public view for non-drug offenses and without having to petition for factual innocence. PC 851.91 will allow arrestees that were not convicted to seal their records far from public view and gain the confidence that a misunderstanding is well behind them. This article will address some important points you should know about sealing your arrest record. 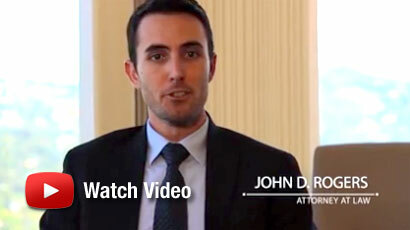 For more information, contact the Law Offices of John D. Rogers for a free eligibility evaluation. 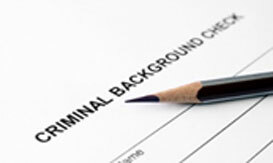 What Does a Criminal Record Sealing Do? The only method for sealing your arrest record is to obtain an order from a judge in the jurisdiction where your case was filed or arrest occurred. An arrest record can only be sealed by filing a specific petition with the court and serving the appropriate parties. 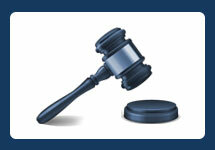 A hearing will be held to determine the specifics of your case/arrest and eligibility for this remedy. If the court orders your record sealed, it will prevent any member of the public from obtaining records relating to your arrest or documents within your court case. You were found not guilty by a judge or jury. Five or more separate arrests each within 3 years from each other. You have the initial burden to prove that you qualify for this remedy. Once it is deemed that you are statutorily eligible, the burden will shift to the prosecution to prove whether this remedy should be given to you if this remedy is discretionary. You intentionally evaded law enforcement via identify fraud. What is the Difference Between an Expungement versus Record Sealing? Contrary to popular belief, an expungement does not erase your conviction. It merely adds a notation to your formal record reflecting that the conviction was dismissed per Penal Code 1203.4. An expungement permits a person to legally answer that they have no criminal convictions on most employment applications. However, an expungement will not seal the arrest or court records. Accordingly, a member of the public may still obtain court records despite your record ordered expunged. On the other hand, sealing your record is only available if the arrest did not lead to a conviction. Sealing your record under Penal Code 851.91 pc will order all records relating to your case to be closed and not available for viewing by any member of the public. This prevents any person from the public from obtaining any arrest information or court documentation about your matter. What Happens After the Court Grants My Petition? Order that it is a civil penalty to disseminate sealed court and arrest records. Does PC 851.91 Destroy My Arrest Records? The statute expressly states that it does not destroy arrest or court records. This remedy ensures that your records are not disseminated to the public upon a search. Those interested in sealing and destroying their records must file a petition for factual innocence. If a petition for factual innocence is granted, all records relating to the arrest and/or court documents must be destroyed. Penal Code 851.8 et seq. See Penal Code 1000 et seq.